Catharsis. Depression. Unapologetic feminism. In most cases, our favorite music and musicians reflect ourselves. That’s why it’s unsurprising that my favorite records of 2017 are the ones where I can see myself in every note: queer, female/nb bands that are not afraid to pour their emotions out to the sounds of indie rock. “If you’ve been listening to music built on personal experience and largely created by straight, white men for years, seeing more and more women, queer folks, and people of color at the forefront of the genre only broadens its scope. Little by little, the scene feels more open,” writes Pitchfork’s Jillian Mapes in her latest. 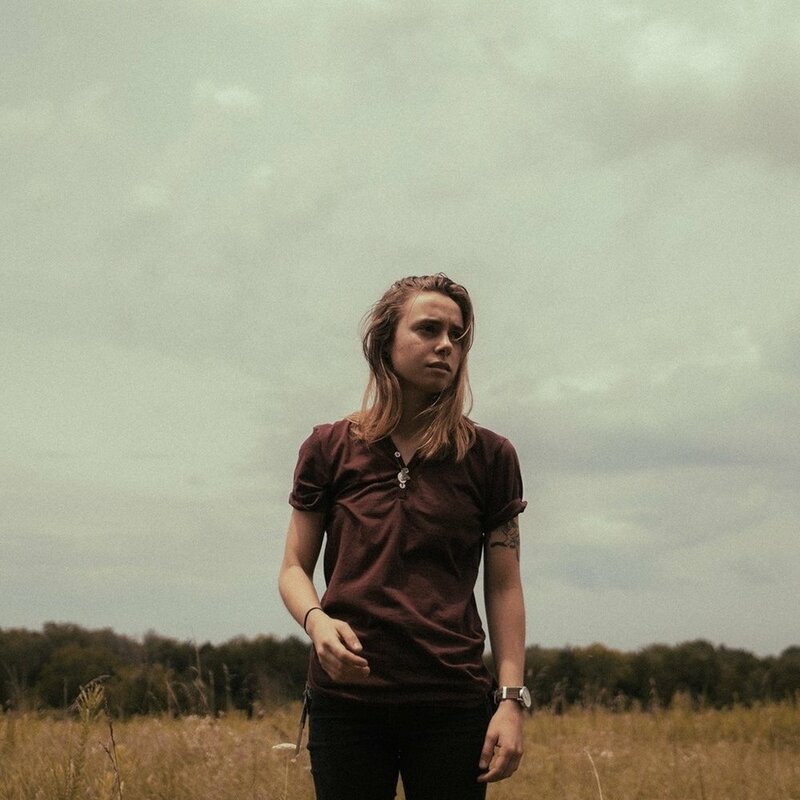 Every copy of Turn Out The Lights, Julien Baker’s heartbreaking second record, should come with its own pint of ice cream and box of tissues. The indie singer-songwriter writes vulnerable tracks with rich musical tapestries that focus on trying to conquer mental illness and face life’s challenges head-on. The solitude of tackling depression is a pervasive theme throughout the album, like the normalcy of hole in drywall (the hole came as a result of a punch from Baker who never bothered to get it fixed) mentioned in the title track “Turn Out The Lights”; over time, you accept that’s just how things are. “Well I heard there’s a fix for everything/Then why/then why not me,” Baker sings beggingly on “Happy To Be Here,” a song about Baker seeking help for her mental illness and addiction, even though she lacks confidence in treatments ability to be successful. Baker also speaks to the importance, and even misguided hope, people with depression put in others. On “Hurt Less,” Baker talks about her transition from not wearing a seatbelt to wearing one because she cares about a partner, more importantly, she can care about someone other than herself. “Sour Breath” focuses on the feeling of burdening your partner with your baggage, even though they carry their own problems (in this case substance abuse) as well. The song also delivers one of the most breathtaking moments on the record with Baker growing more and more passionate with each refrain of, “The harder I swim, the faster I sink,” until the music cuts out, leaving her screaming the lyric alone. Baker’s faith also plays an instrumental role in her songwriting. “Even” is about balancing the good and evil in all of us. “Everything That Helps You Sleep” asks whether good deeds really come to fruition. TOTL is a lesson in catharsis: each song is an emotional release meant to make the listener feel ready to accept themselves for who they are and learn to improve the parts of themselves that they cannot change. Out In The Storm is the rock record that Waxahatchee fans never knew they wanted. On OITS, Katie Crutchfield delivers a 90s alt-rock inspired break-up record with the same brilliant lyrics we’ve become accustomed to expect from a Waxahatchee record. One of the best break-up records to date, Crutchfield describes being in a relationship with someone who became an all consuming force on their life, causing her to lose who she was, and worse, doubt her talent and worth. “Brass Beam” is a mid-tempo rock tune with Crutchfield recounting all of the abusive tendencies of her ex, remarking, “When I think about it, I want to punch a wall/When I think about it I wonder if I’ll always feel small.” “Hear You” is a roaring number about not wanting to listen to an ex explain their side and how their story will always be present in your circle of friends. Listeners also get to hear Crutchfield regain her sense of self in the record. In “Sparks Fly,” Crutchfield feels free to think, act, and be herself for the first time since entering this relationship: she’s “electrified.” The final track of the record, “Fade,” is a release from the past. The acoustic guitar and keyboard track is about leaving a relationship without a trace that it even existed. It’s the perfect track to end the album with; leaving this year and this relationship far behind. Anika Pyle’s first record post-Chumped, Cowgirl Blues, is a break-up album fueled by feminist themes, catchy guitar licks, and personal growth. “Lucy Stone,” a feminist rock anthem, tackles the prison of marriage and a woman’s role in that relationship with the most badass opening lyric of 2017, “Well, I don’t want to have your children/Does that make me less of a woman?” Anika Pyle’s heart comes through in all of her music, but she is truly her most vulnerable in the tracks about her breakup. In “TV Dreams” we hear Pyle lament on a past relationship from being miserable with the person to pleading for them to call her. “Houses Into Homes” is a deceptively upbeat rock song about being left with all of the tangible items that make you think of a past relationship while your former partner moves on and creates a new life. The most beautiful moment on Cowgirl Blues is the transition from “Proposal,” an acoustic track about realizing the person you thought was “the one” is not, to “Sad Girls Club,” a high-energy, empowering FU to anyone who’s ever dismissed someone’s emotions by calling them “crazy” or “sad” while in a relationship. It’s a brilliant, overlooked moment on the record that exemplifies the power of moving forward and coming to terms with who you are. With Cowgirl Blues, Pyle has shown that vulnerability and a bleeding heart are the keys to making an incredible debut record. “Ready?” Alex Luciano invitingly asks her bandmate, Noah Bowman, as he comes blaring in on drums to kick off the middle half of “Sixteen.” This question isn’t just a musical cue, but a nod to the listener, asking them if they want to go on this journey with Diet Cig. On the band’s debut LP, we witness the growth of Luciano as a songwriter while she maintains the same playfulness that made Diet Cig a joy to listen to in the first place. We join the band on a light-hearted synth-fueled ditty as they drive across the country to eat breakfast tacos (“Road Trip”) and on Luciano’s 21st birthday where all she wants is ice cream to cure her pain (“Barf Day”). The serious notes of SIGAT are what make it memorable. From the feminist anthems “Tummy Ache” and “Link In Bio” to the beauty and bravery portrayed in “Maid of the Midst” to the indecisiveness in “I Don’t Know Her,” Luciano has proved that pop-punk and thoughtful lyrics are not mutually exclusive. SIGAT makes you giddy in its playfulness, breaks your heart in its moments of tenderness, and inspires you to smash the patriarchy when its defiant. So, are you ready? “And I’m not dead yet, but this doesn’t feel so great/And I’m not dead yet, but I’d like to take a break,” Augusta Koch sings on “Am I Dead Yet,” the opening track on Cayetana’s second album A New Kind of Normal. Despite the themes of mortality, depression, and escapism being pervasive throughout the Philly trio’s latest, Cayetana managed to put out some of the most banging guitar rock of the year. The album’s lead single, “Mesa,” is a catchy break-up song driven by the incredible rhythm section of bassist Allegra Anka and drummer Kelly Olson. “Bus Ticket” captures the desperation of trying to pull yourself out of depression with furious, distorted guitars and Koch’s pleading vocals. Tracks like “Easier To Love” and “Side Sleepers” give listeners a taste of Koch’s ability to turn painful experiences into singable anthems. Throughout its 41-minutes, ANKON creates camaraderie in experiences that our society views as taboo. And even when we are caught up in those moments at least we have Cateytana to help point us in the right direction.